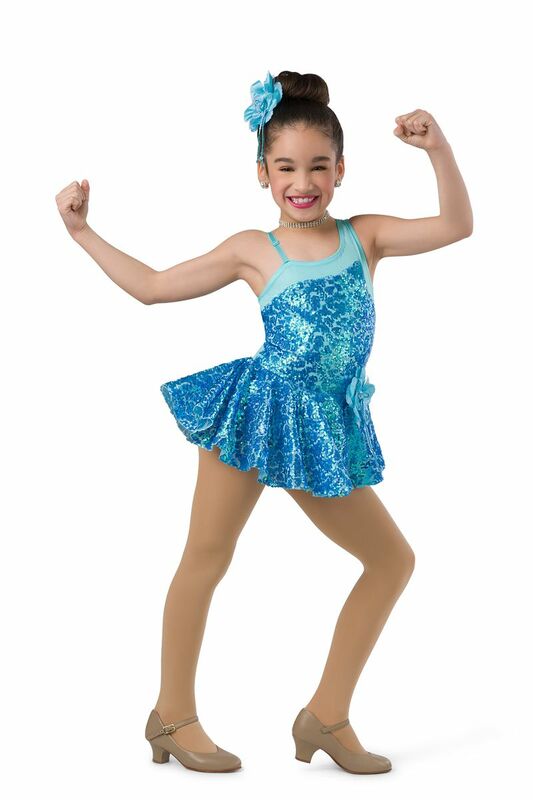 Aqua iridescent sequin mesh over aqua spandex leotard with adjustable straps and attached sash. 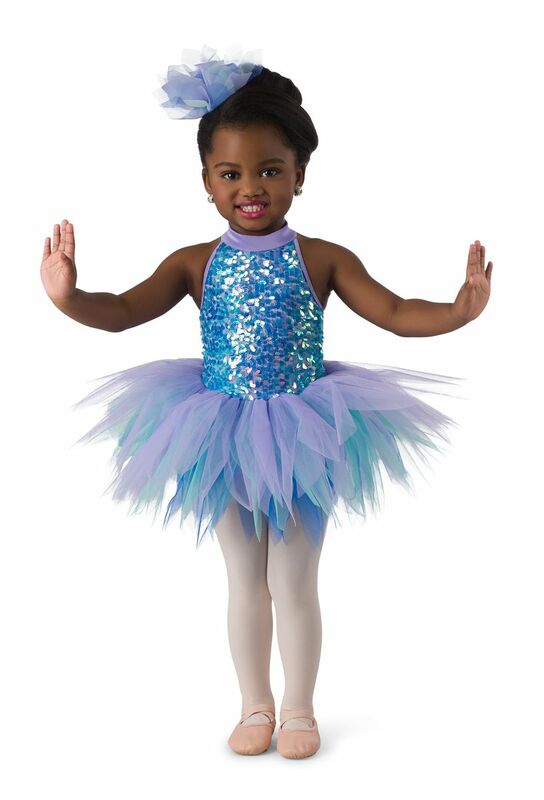 Attached turquoise holodot tulle peplum over multi-colored tricot tutu. 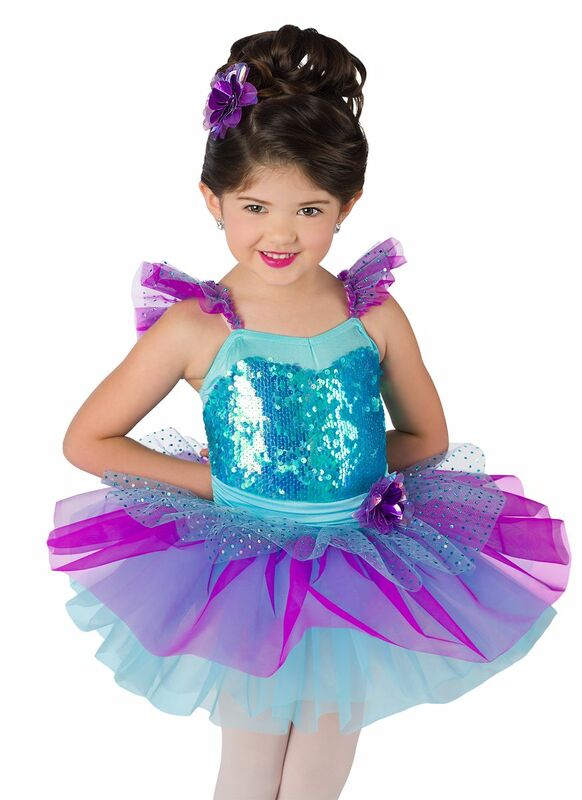 Ruffle and flower trim. Made in the USA / Imported.